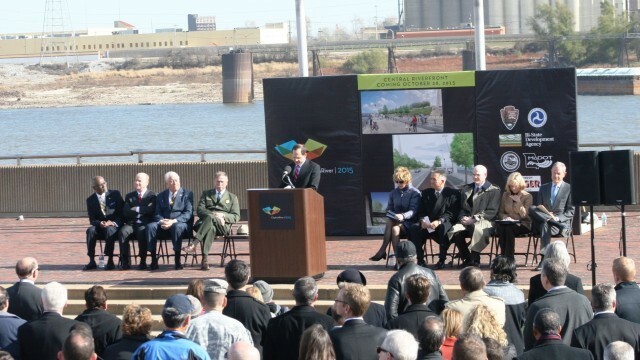 The CityArchRiver project was a monumental undertaking from the beginning. 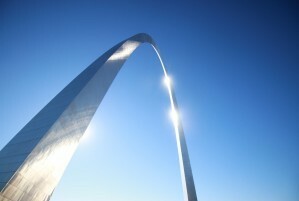 As one of the lead designers of the redesign said, “it was about finishing the park in the spirit in which it was intended.” The $380 million renovation of Gateway Arch National Park and its surrounding areas in downtown St. Louis was a historic partnership between the private sector and federal, state, and local government agencies. 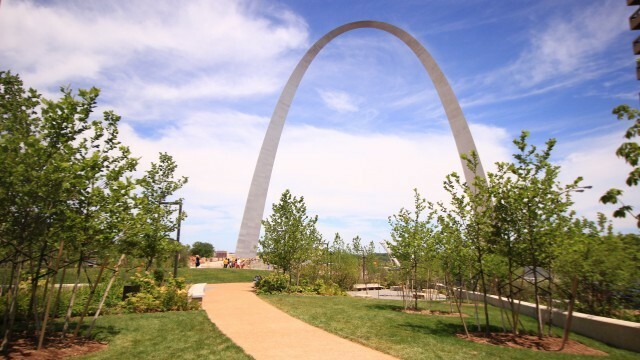 Core partners include the National Park Service, Missouri Department of Transportation, Great Rivers Greenway, Bi-State Development, Gateway Arch Park Foundation, and Jefferson National Parks Association. 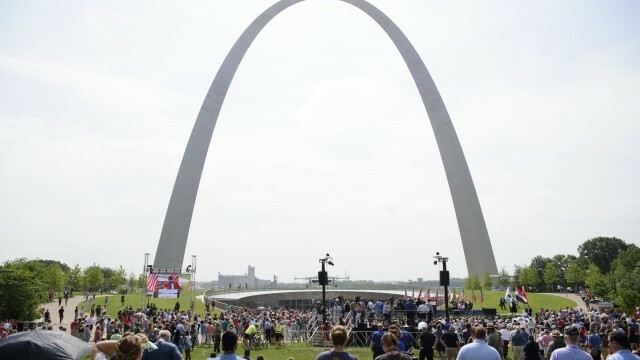 Through a unique partnership of public and private funding, many agencies and the St. Louis community came together to completely change how visitors and the region experienced the Gateway City’s defining calling card to the world: the Gateway Arch. 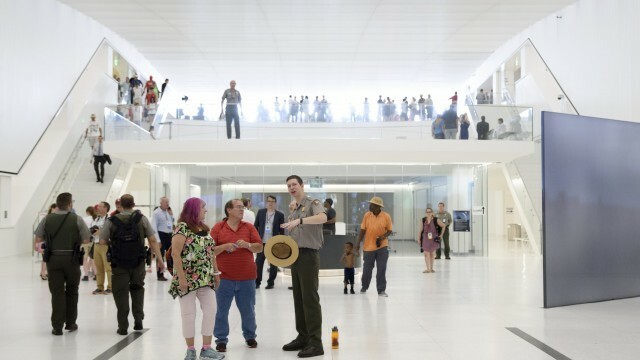 The newly renovated Visitor Center and Museum at the Gateway Arch were awarded LEED Gold in recognition of the building’s sustainable site development, water savings, and building materials selection. 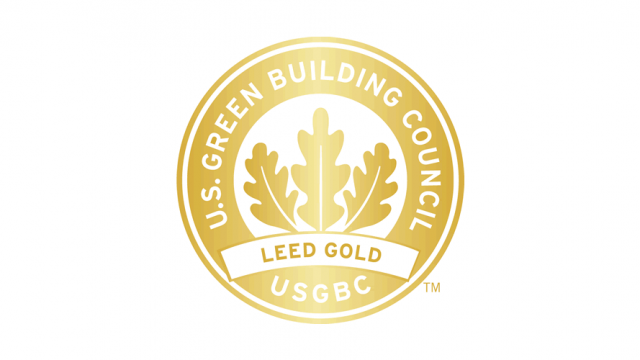 The LEED (Leadership in Energy and Environmental Design) rating system, developed by the U.S. Green Building Council (USGBC), is the nation’s most widely recognized and accepted green building rating system. 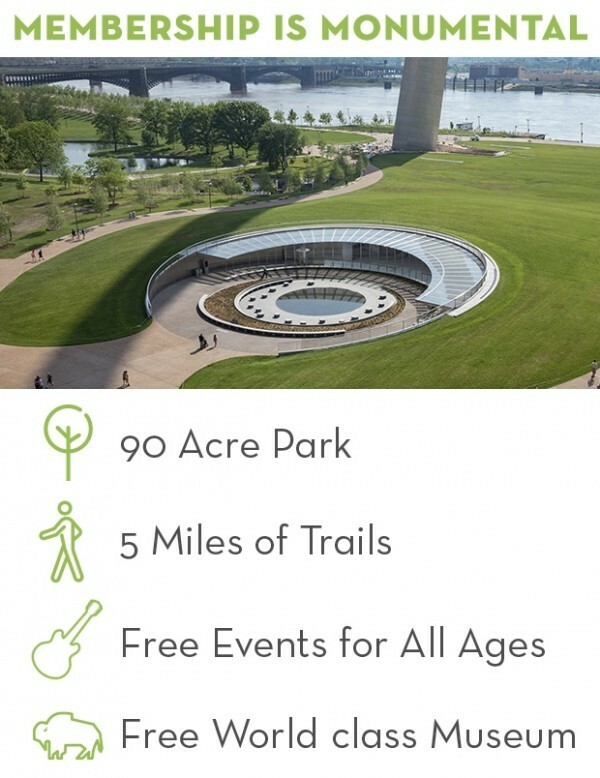 The Visitor Center and Museum join the exclusive ranks of only 10 other LEED certified sites in the National Park Service and 185 LEED projects in St. Louis. 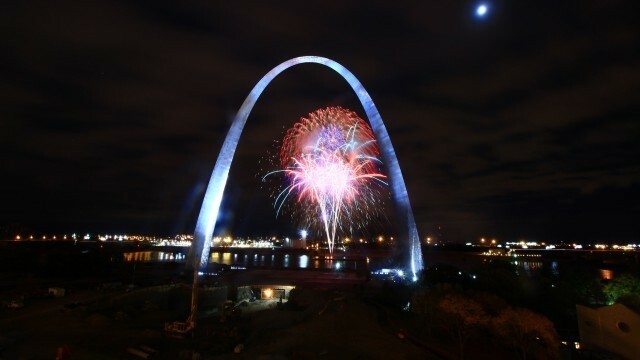 The grand opening of the new Gateway Arch National Park was on July 3, 2018 coinciding with the return of Fair Saint Louis on July 4, 2018. 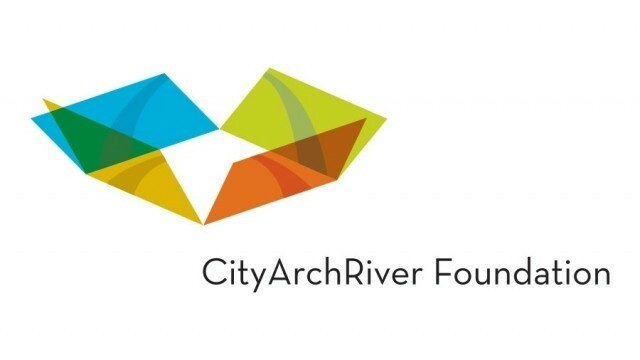 The CityArchRiver Foundation, tasked with oversight of the construction and renovation projects, transitions to its stewardship role as Gateway Arch Park Foundation. 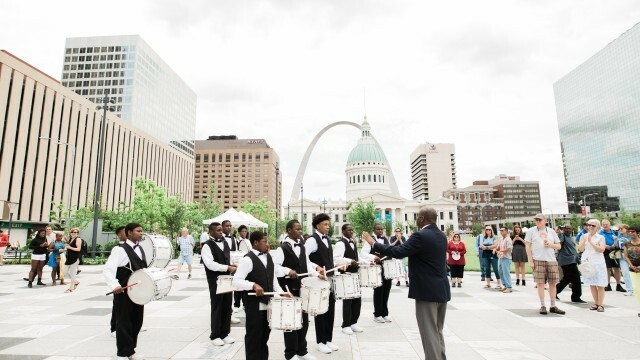 The community celebrated the completion of the new Kiener Plaza in the heart of Downtown Saint Louis. 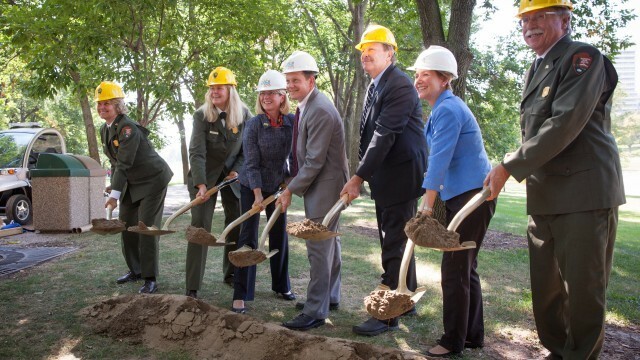 As the National Park landscaping was completed, Go! 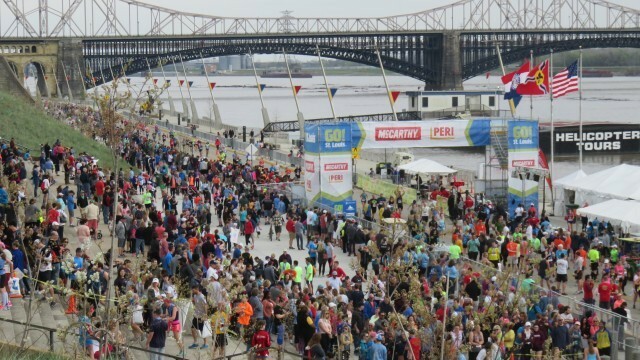 Saint Louis Marathon moved to the riverfront for the first time in its history to celebrate the newly improved park. 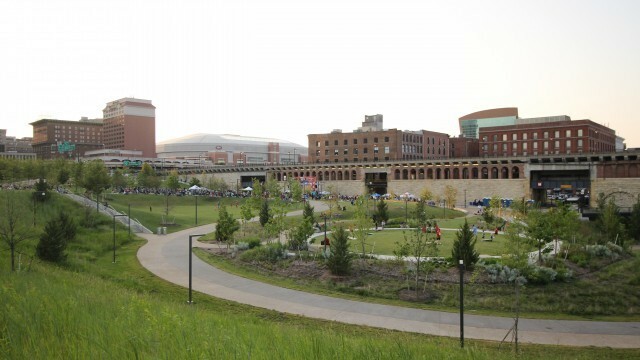 The project tranformed a three-story parking garage into a welcoming greenspace that connected neighborhoods to the park. 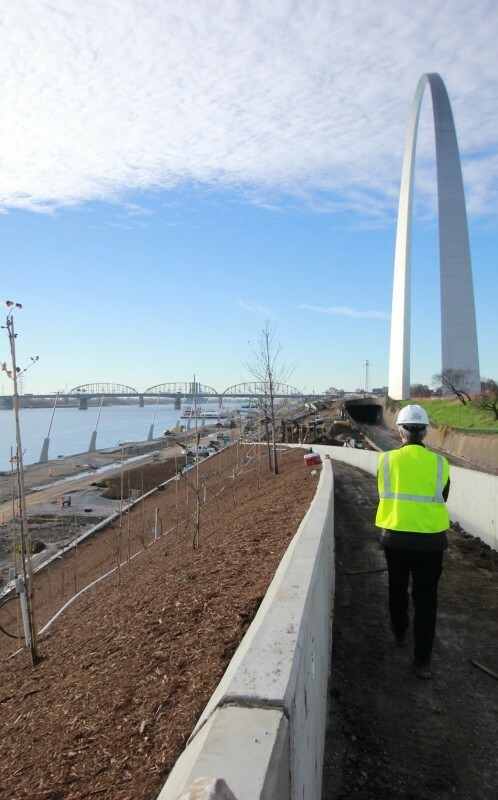 St. Louis' central riverfront is raised to reduce flooding closures and provide biking and walking connections. 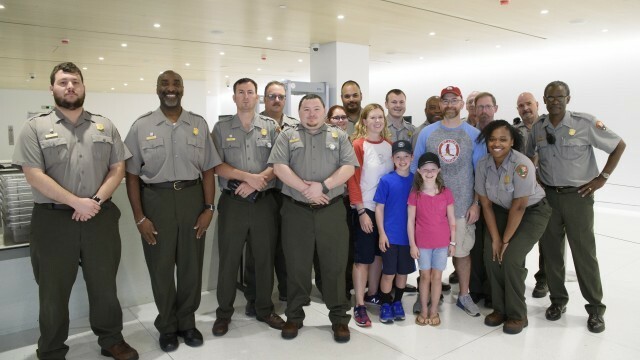 Project partners host "Picnic on the Riverfront" to celebrate. 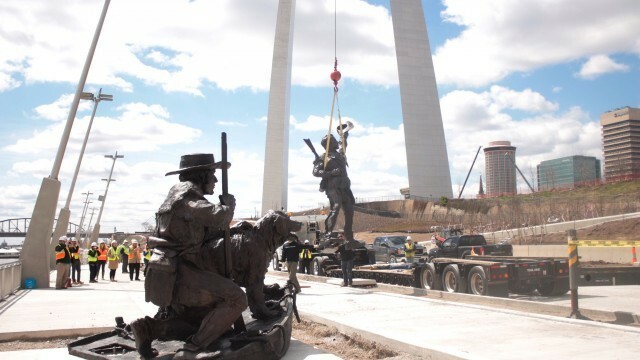 After a year-long restoration process to address the impact of flooding, the Captains' Return statue was installed in its new home, situated on higher ground along Leonor K. Sullivan Blvd. 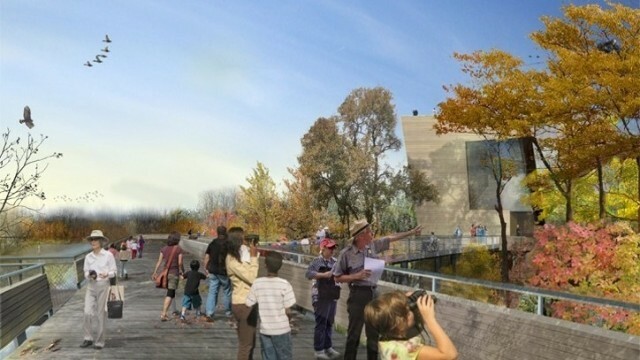 CityArchRiver Foundation announced the realization of the $250 million capital fundraising campaign goal for the Arch park renovation project, the largest private investment in a National Park in United States history. 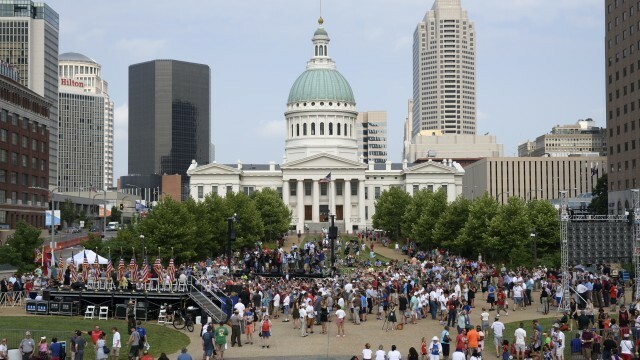 With the opening of these components, CityArchRiver partners connected the Old Courthouse and Downtown Saint Louis to the Arch park grounds with a beautified greenspace. 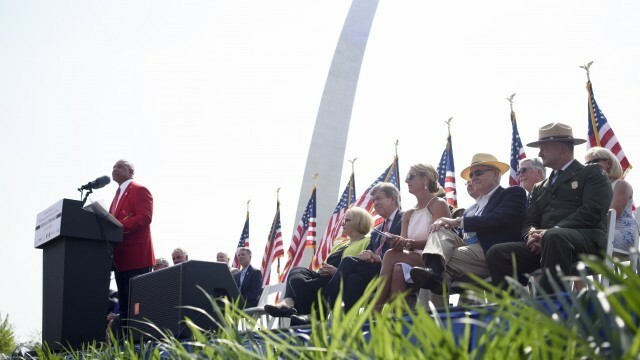 This month, CityArchRiver partners celebrated the 50th anniversary of the Gateway Arch’s completion with ceremonies and celebrations worthy of the city’s most iconic monument. 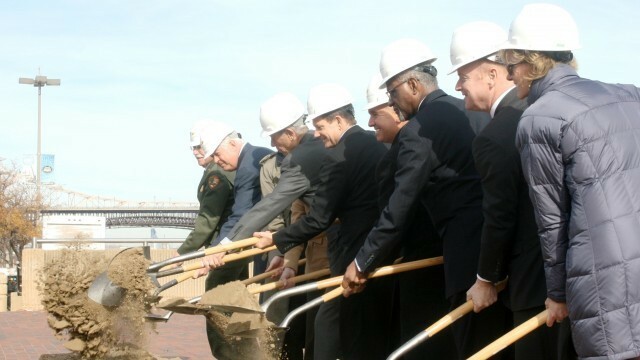 To mark the beginning of this historic undertaking, project parnters held a groundbreaking ceremony for the Arch Visitor Center expansion and Museum renovations. The North Gateway begins its transformation with the demolition of the old Arch parking garage. 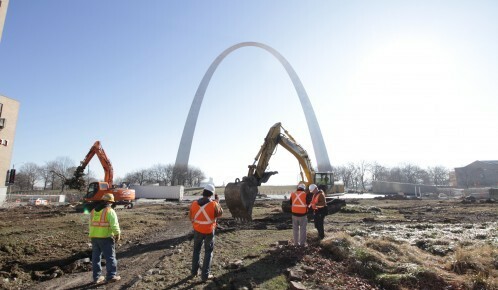 The construction of the Arch Grounds landscape redesign project began. 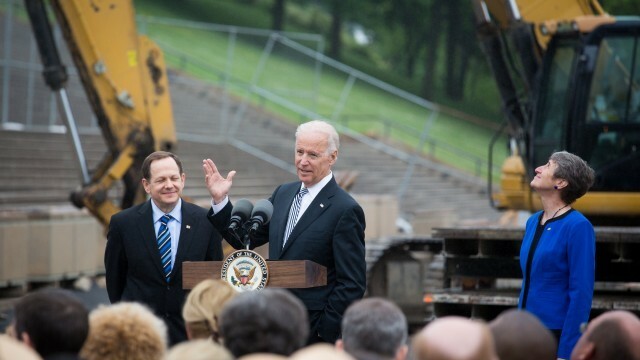 Then Vice President Joe Biden toured the CityArchRiver Project and learned about what was in store for Saint Louis’ historic riverfront. 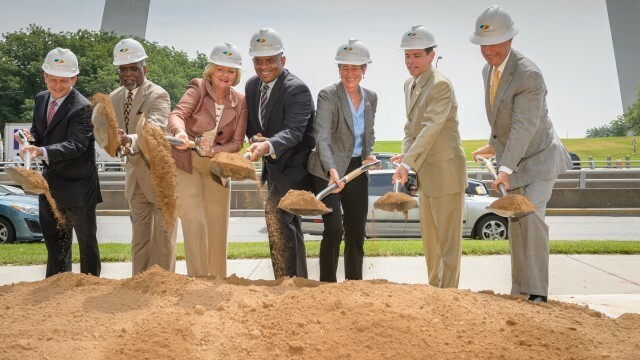 The Riverfront component of the CityArchRiver project becomes the second project to break ground. 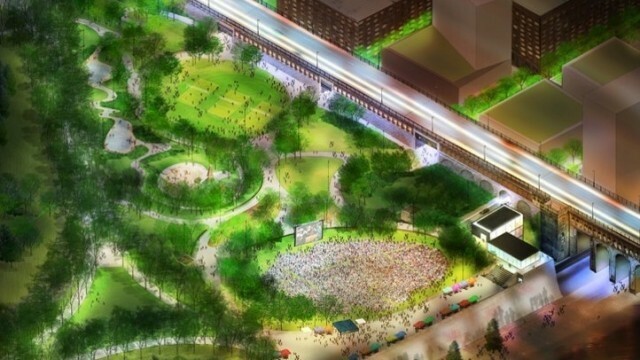 MoDOT begins work on the Park Over the Highway, a green space that will finally physically connect the Arch grounds to Downtown Saint Louis over I-44 (then I-70). 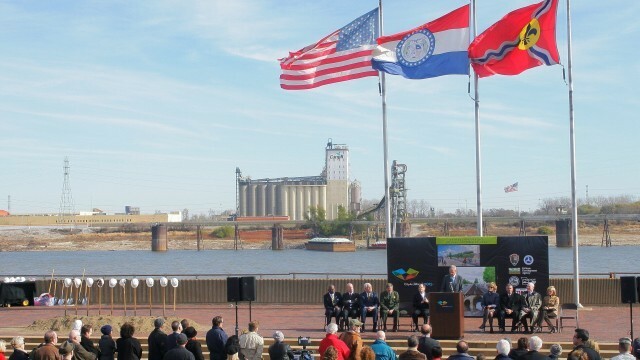 This is the first landbridge of its kind in Missouri. Click here for the full groundbreaking video. 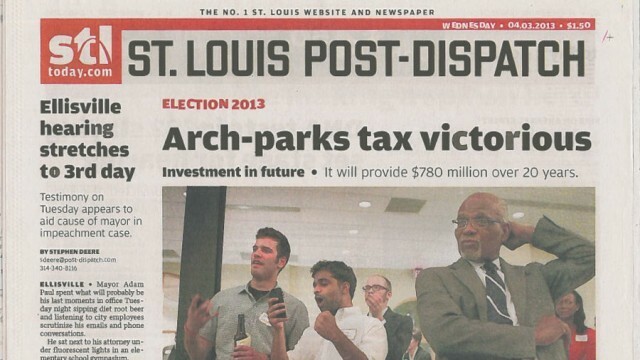 The approval of Proposition P by Saint Louis County and City voters created revenue that would fund regional parks and trails, including $90 million in funding for the CityArchRiver project. 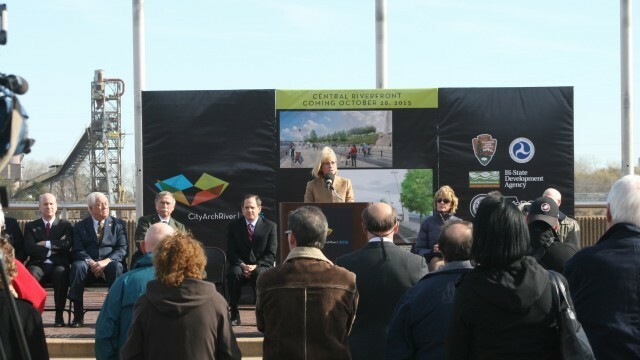 Throughout 2012, CityArchRiver works with partners to continue development of the park's design. 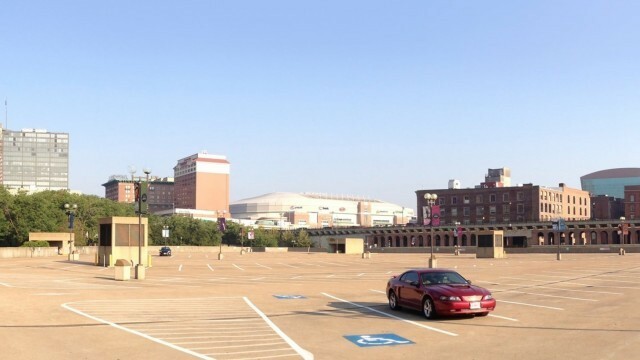 The Universal Design Group consisting of 25 individuals representing the disability community, is formed to advise CityArchRiver Project Partners on creating a space that is accessible to the largest amount of residents and visitors possible. 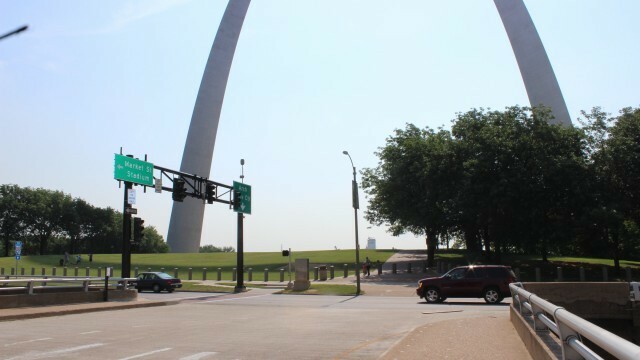 The US Department of Transportation awarded a $20 million TIGER Grant for the construction of the project, which was matched with $25 million in funding from MoDOT and $10 million raised privately by the CityArchRiver 2015 Foundation. Click here for the full story. 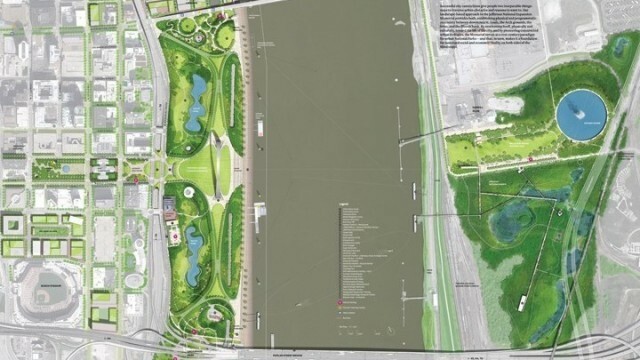 The Michael Van Valkenburgh Associates team won the CityArchRiver International Design Competition with their comprehensive plan for transforming the Saint Louis Riverfront and Arch grounds. 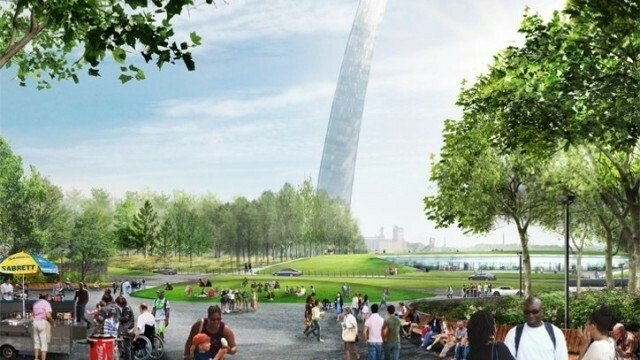 The plan created the International Design Competition to inspire a comprehensive redesign of the Arch grounds and connected Downtown St. Louis public spaces. 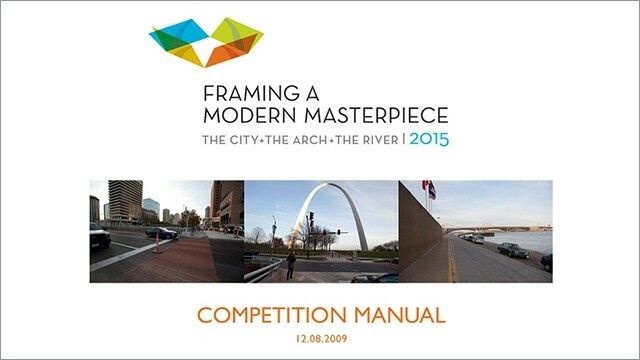 The City + The Arch + The River 2015: Framing a Modern Masterpiece International Design Competition began. Foundation is formed to sponsor and coordinate the Framing a Modern Masterpiece International Design Competition. 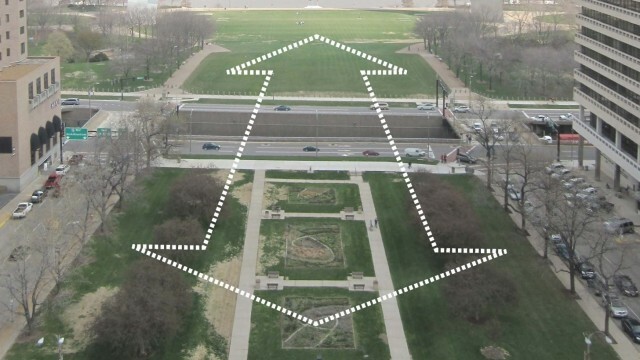 The committee delivered its recommendations for changes to the Arch grounds inspired by the best designers. 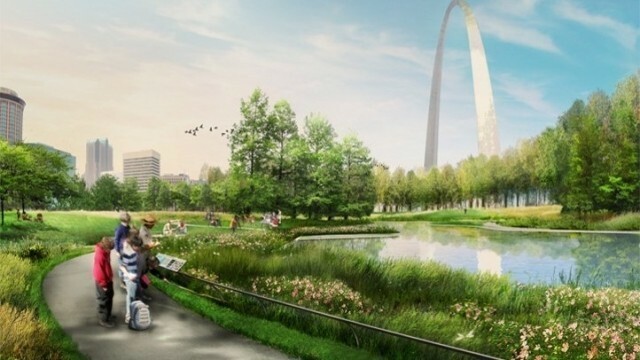 The recommendation called for an update of the Jefferson National Expansion Memorial’s General Management Plan and the potential of an international design competition. 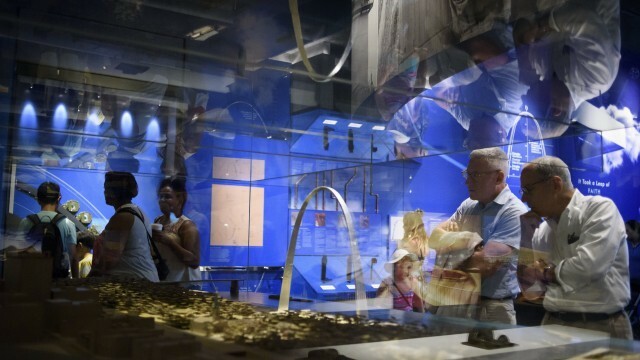 Then-Saint Louis Mayor Francis Slay tapped civic leaders Walter Metcalfe, Peter Raven, and Bob Archibald to develop a plan that addressed the unique challenges facing the Gateway Arch grounds and its surroundings, including a lack of connectivity, activity and accessibility.